This darling Amazon Frogs Kangaroo Romper is perfect for those warm summer months. 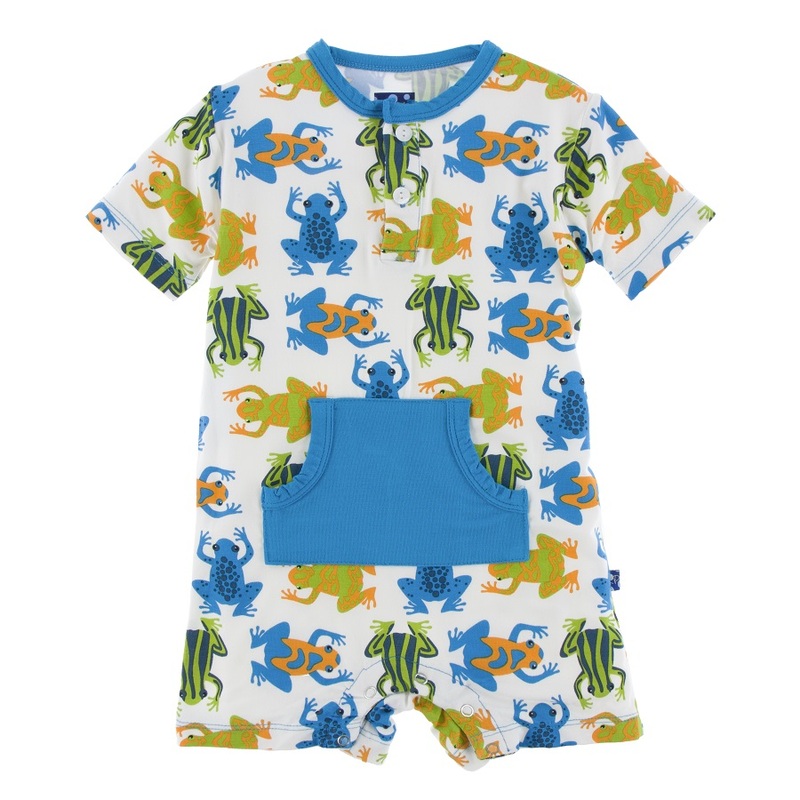 Two buttons at the neckline for easy on and off, while there are snaps at the legs for easy diaper changes. 95% bamboo, 5% spandex by Kickee Pants.